Due to a public Holiday in various countries, we didn't receive the Nintendo Download as early as normal. Thankfully we now have the translated line-up from Germany for your reading pleasure below. It's mostly about the Wii U and 3DS this week, with retro and new delights to enjoy, while the Wii Virtual Console steps in with some Neo Geo action. Let's get to the details. Ghosts 'n Goblins (Capcom, £3.49 / €4.99) — This is the US version of the game. The NES title that would eventually spawn last week's brilliant SNES arrival, Super Ghouls 'n Ghosts. It's classic 8-bit running, jumping and attacking, with a legendary level of difficulty to boot. We'll have someone take another look at the Wii U version soon, but until then you can check out our 3DS Virtual Console Ghosts 'n Goblins review, where we gave it a solid recommendation. The Denpa Men 2: Beyond the Waves (Genius Sonority, £8.99 / €9.99) — A long awaited sequel for those that enjoyed the dungeon crawling, AR seeking gameplay of the original. This is a relentlessly charming game that also encourages you to take your 3DS on the road, while improving on the first title in almost every way. We gave it a glowing recommendation in our The Denpa Men 2: Beyond the Waves review. SpeedX 3D Hyper Edition (Gamelion Studios, £1.79 / €1.99) — While a less expensive 'hyper' version of the excellent SpeedX 3D sounds too good to be true, that's because it is. This fresh release hits Europe at a lower price point than in North America and offers improved visuals, a smoother framerate and new music. Unfortunately it strips away the variety of different modes, making it more of a drop-in arcade score chaser. It earned a thoroughly commendable 8/10 in our SpeedX 3D Hyper Edition review, but is potentially far more attractive to newcomers than those considering a double-dip. The Legend of Zelda: Oracle of Ages (Nintendo, £5.39 / €5.99) — Already confirmed for North America this week, this is one part of the much anticipated dual arrival of the highly regarded Zelda Oracle Game Boy Color titles. We'll be reviewing this fresh 3DS release soon. 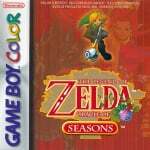 The Legend of Zelda: Oracle of Seasons (Nintendo, £5.39 / €5.99) — The other half of the double bill, and when owned alongside Oracle of Ages will enable the original Game Boy Color link cable functionality on the 3DS, unlocking tweaks in the experience and an all-new end boss. Watch out for our upcoming review. So there you have it, not the longest list of downloadable goodies but one packed with goodies. Let us know your download plans in the poll and comments below. A special thanks to Daan Koopman (NintenDaan) for the translated details from the German press release. How can I vote for which of the zeldas to download first, I'll get them at the same time! Nice that the oracle games have been added. I already have the cartridges so I won't be getting them but I wonder if they include the GBA shop. @Linkstrikesback Vote for your favourite, I guess! Going to get myself Oracle of Ages and Season. So, no Mega Man X for Euroland. "It's mostly about the Wii U and 3DS this week"
I'm still following my no 3DS/DS rule at the moment with exams still to go, but I'll pick up the Oracle games as soon as I can! I already have original copies of both Zeldas. I want a european release date for Shantae. 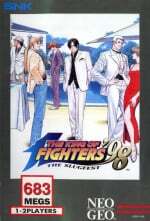 Great to see the Oracle games up there, but people should not forget the mighty King of Fighters '98 is out on Wii too!! Oracle of Ages to begin with. Seasons when i have completed it. Why are they re-releasing Mario & Sonic at London? Didn't the London Olympics end a while ago? I know you only translated this but can you please put up the UK prices. We use £'s here instead of €'s. The oracle games, maybe the G&G games, maybe Toki Tori 2. Oracle of Ages for me. Already have Seasons. Both Oracles for me and my Zelda collection is complete. as always, 3ds has better things then wii u (not Toki Tori) but I have a 3ds!! There are quite a few quality games that I need to pick up on the eshop. I just don't have the money! Zelda games should be about £4.50 each before the discount. Maybe £8 for the two after the discount? Oracle of Ages and Seasons are absolute classics, but I'll hold off on getting these again to be honest. Denpamen 2 looks interesting, but I'm already so much more invested in PMD3D and Fire Emblem awakening that I don't think I need it either. @MrSRArter Because Sega want money, that's why. @MrSRArter: they're not rereleasing it, they're just making it available through the eshop. What happened to the "Buy both Zeldas, get a discount" deal we were promised? I still own my Oracle cartridges and my GBA, so I'm not buying them again for the time being. Never played the oracle games.Have they dated,like the original Zelda?Or will still be a treat,like link to the past? Overall are they worth getting if no nostalgic value will be gained? Why Nintendo why?? Having different releases between US and EU just causes upset people. Unify your releases. Forget region locking. Blarg! With Aurora getting a permanent discount what will Ninty do from now on? Discounting that game every other week seemed to their e-shop fall back. @Marshi As far as I know, the two Oracles are widely regarded among the very best Zelda games, and most probably the best handheld games in the series. They're better than Link's Awakening, I'm told, and Link's Awakening is beautiful and it has aged really well. 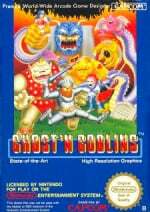 Is Ghosts 'n Goblins 50hz or 60hz? I'm jealous those Zelda game so awesome, wish i had a 3ds . Hope Wii U get Zelda games soon . Despite the fact that I already own both Oracle games as cartridges, I'm going to pick them up for my 3DS. Frankly, I rarely have a chance to play my GBC games any more, and I'm sure I'll be playing these a lot in between sessions of DK Country Returns 3D (and Animal Crossing: New Leaf when it is released). Since I already played the oracles and not much long ago, all my interest is focused on Denpa man 2. Denpa men, and the two Zelda's! Gotta get me some eShop cards, never owned any of the Oracle games (sadly). Getting them for 5 euros a piece seems a steal! speaking of mario & sonic i've just 100% fully completed the game this very minute. it's quite difficult and confusing(getting 10 star rating for medleys) but i'd be happy to help anyone with any trouble with the game because i finally figured it out. I added funds to both my 3DS' eShop wallets for this very reason! And it looks as though the discount is for every region, not just NTSC territories. That means I can pick up a couple of NES games along with the two greatest handheld Zelda games, which have yet to be topped! Oh boy, getting to play through Crown Dungeon again! Getting repeatedly stuck with the colour-based switch puzzles! Gonna get both the zelda games to kick start my summer! @Yoshi3DS With Pokemon, you get 2 games that are basically exactly the same (map, storyline, etc.) asides from a few Pokemon that are unique to each game. The 2 Zelda Oracles games have completely different storylines/characters/overworld maps/dungeons/bosses etc, so are effectively 2 different games. However, when you complete one, it gives you a passcode that can be entered at the start of the other game in order to continue your adventure (some characters from the game you played first will appear in the other game), and this is also the only way to unlock the final 'true' boss fight and 'proper' ending. It's called 'milking it'. They try sell it at full price on the eshop even though you can get for about a tenner second hand. The download versions would sell in much better numbers if the price was reduced a bit. Both zelda games for me. I never got the chance to play them previously. Anyone know when Project X Zone demo B is coming out? Why isn't there an option for "both Zelda games?" Can you make sure there is that option on the NA download this week at least? Because that's what I'm going to be selecting if it's available. I echo @Lobster: and every other member who has mentioned it. Denpa Men 2 for sure! Everyone, play Seasons first. There's a cute side plot that ties up a little nicer when you play it in that order. There should be another option: BOTH ZELDA MASTERPIECES instead of choosing one individually; but to be honest ages is the superior one as it has mermaid's cave, hands down, my favorite zelda dungeon of all time. Both TLoZ: Oracle games and maybe I'll get those Capcom games on my Wii U, just for the hell of it. Of course I'm getting both Oracle games, but which will I download first...? Aaaaaargh!! Why can't I choose both?! It's already out in Europe. I tried it and hated it. Definitely not to my liking. I love strategy games like fire emblem and advance wars, and enjoy beat em upa, but didn't like PXZ at all. @Dyl_73 He asked for the second Demo. 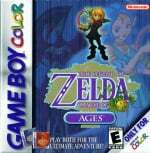 Zelda: Oracle of Seasons & Oracle of Ages!!! I love these two Zelda on GBC!!! The UK prices have now been added, as well as confirmation that Ghosts 'n Goblins in the 60Hz US version. Oracle games for me. I've never played them before. I'm getting The Denpa Men 2, I've been waiting for ages for this beauty of a gem. Man, I've got a ton of games to play through this weekend, already finished the main storyline of Pokemon Mystery Dungeon in about 40 hours (but I got ages to go to unlock all the ranks and customize my pokemon paradise. I also got Solatorobo to playthrough as well, so i'm all set. Both Zeldas for me, I've never played them before so I'm very excited about them. Hmm... 50% off G'n'G is tempting as i did already d/l super G'n'G. However I already have G'n'G for 3DS, so if i get it at all it will only be whilst it's on sale. Maybe Toki Tori 2, quite tempting now it's on sale, it looks like a pretty good game. However, i wasn't a huge fan of the original (GBC version), the puzzles and controls really didn't 'click' with me and i found it a frustrating chore to,play. Besides that I am going to download Denpa men 2, both zelda's and also Mario and donkey kong. Gonna get me both Oracle games...definitely! Both of the Zelda games! Anything new from Zelda and I'm first in line. I'm a total sucker for Zelda games, ever since 1986. Love that the 2D Zeldas are making their way onto the 3DS! I've played them all from start to finish (even Zelda II) and some several times over. Sadly, as much as I've tried, I've just never been able to get into the 3D Zeldas. I'm not sure what's wrong with me. I'm glad they are finally coming out with the Zelda Oracle Games. Never had a chance to play them so I can't wait to download. I wish they would eventually have a remake of the games with better graphics in HD. That would be awesome if they can develope the 3rd game which they originally wanted. That way you can play all 3 games to be interconnect and join the Triforce. This would be something Zelda fans would be interested in. Say, what would those prices be translated into Monopoly money, aka Australian Dollars? Cool to see the Oracle games being released. Not going to buy them right away, but I will have it on my "to-do list". Since I am just getting a 3DS, I have a lot of catching up to do! I had Ages back in the day, so I am not sure if I should stick with that or try Seasons instead. Anybody recommend one over the other? @suburban_sensei I remember liking Seasons more than Ages, but that's just me. Seasons is more battle focused and Ages is more puzzle focused. They're both great games, and I recommend getting both. I'll be interested to see if I can finish Ages this time around. I got stuck at the sixth dungeon on the original version . I found ages at a swapmeet a while back played it, finished it and loved it. I still got the code so I'll be playing the hero's mode on seasons... EXCITED.